D3O, a specialist in impact protection, has entered into a new partnership with leading PPE manufacturer Beryl Davis to develop an innovative PPE (personal protective equipment) solution for law enforcement. The Israeli company has developed a lightweight, low profile protective vest featuring D3O’s unique patented impact protection technology, which will be formally unveiled at LAAD in Brazil on 9th April 2013. As the global leader of innovation and technology in impact protection, British based D3O has worked closely with PPE specialists Beryl Davis, to develop an innovative, comfortable blunt trauma protective line called the BlacKnight™. Designed for police and military applications, the BlacKnight™ features D3O’s unique patented technology offering superior protection against blunt trauma impacts. "BlacKnight™ Your total shield”, provides the wearer with lightweight, flexible, low-profile protection. D3O’s technology is known as a type of smart material, which is a composite of a dilatant and polymers, used to create a soft and flexible material with high shock absorbing properties. In standard conditions, the material’s molecules flow freely allowing the material to remain soft and flexible, but on impact, they lock together to absorb impact energy and reduce the force transmitted. The molecules instantly return to their flexible state so it never ‘goes hard’. D3O is strain-rate sensitive, which means the stronger the impact, the more the molecules react, and the better the protection. As an ingredient brand, D3O offers high performance, discreet, trusted protection. Shlomo Oman, CEO of Beryl Davis says: Beryl Davis is first and foremost a global company, operating on several continents. We offer innovative products and solutions which are relevant worldwide. Product lines include high visibility, flame resistant workwear and activewear, along with our new BlacKnight™ collection. The BlacKnight™ line incorporates D3O’s technology, to offer unprecedented trauma protection. The relationship with D3O will have a huge impact on the PPE market. 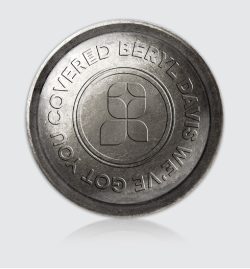 Beryl Davis is a well established, privately owned company, founded in 1981 with offices in Israel, the UK and China. It is a leading global player in the development, design and manufacturing of PPE including high visibility workwear, reflective, flame resistant (FR) and quality workwear as well as specialized security workwear for bodyguards and military units as well as sportswear and uniforms. It supplies the IMOD (Israeli Ministry of Defense) in addition to a number of government and municipal bodies, ports and airports, electricity and construction companies. Beryl Davis meets international manufacturing and quality standards relevant to the US and European PPE markets.